In 2018, The House of the Seven Gables celebrated a singular milestone. 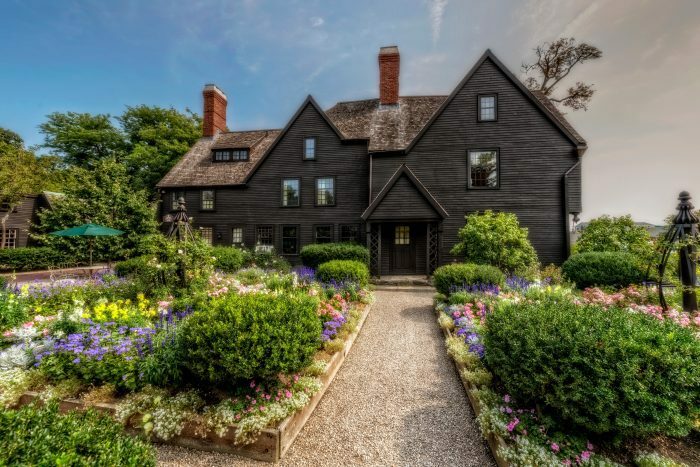 Built in 1668, The Gables has stood at the foot of Salem Harbor for 350 years. A symbol of both American promise and literary prowess, the beloved mansion today welcomes more than 100,000 visitors a year. Rarely has an old house meant so much to so many. Visitors from around the world traveled to The Gables this year to be a part of exciting 350th-anniversary celebrations. They learned about the architectural legacy of the Turner and Ingersoll families, the literary legacy of American author Nathaniel Hawthorne, and the philanthropic legacy of our founder Caroline Emmerton. Miss Emmerton restored the famed mansion, opened its doors to visitors, and used proceeds from the museum to fund educational programs for newly arriving immigrant families. It is a vision that we hold dear today through our local work with immigrant families. Today, this storied house is an anchor to five other historic structures in what is now a National Historic Landmark District. Tours fund social work and educational programs such as thought-provoking Community Conversations. The settlement mission supports English language classes, childcare and summer programming for kids, as well as community networking and outreach to help immigrant neighbors gain citizenship. Yes, The Gables’ is an inspiration and a literary icon. It is also where immigrants beginning with John Turner have found purchase in America.